Developer(s): Virtual Play, Intellivision Productions, Inc. In the late 70’s and early 80’s, the world seen gaming’s first ever console war. Atari was a hot commodity at the time, but Mattel would soon give birth to the phenomenon known as the Intellivision. The system was similar in many ways but had crisper sound and a unique control scheme which at the time was completely groundbreaking in the early days of the industry. After outliving nearly all it’s competition before finally ending it’s console run in 1991, the Intellivision still has a huge following to this day from those who either grew up at the time of release or those who discovered it much later and still got a lot of enjoyment out some of the best 8-bit classics of the 80’s. 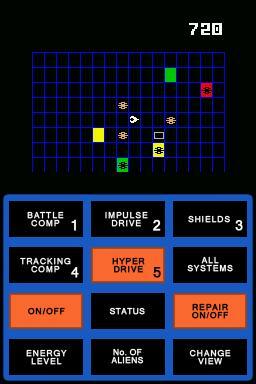 Today we have seen the company release many successful compilations on last generation’s consoles as well as the single releases via Xbox Live’s Game Room, but the latest release Intellivision Lives! brings something completely different to the table with a release exclusively on the Nintendo DS. The game uses the touch-screen control to emulate the classic 12-button touchpad we seen on the original Intellivision systems and brings 60 retro favorites back in one compilation. So how does this control scheme and compilation play out overall? 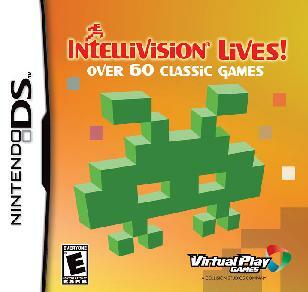 Here is my review for Intellivision Lives! on the Nintendo DS. That throws 60 games altogether on this compilation. Now some may notice some of the licensed titles may be missing such as Burger Time and the Tron titles, but honestly, there was so much here that I never even thought about those titles much myself. If you are an Intellivision fan, you will be in pure nostalgic heaven without a doubt due to this huge array of content. If you have never really played the Intellivision games, there is really something for everyone and the games are meant to pick up and play as it is, so this compilation can also be great for the casual gamers out there as well. In a lot of compilations, the main problem seems to be that converting the games over to a new unit can be a huge problem. Luckily, this is not even a thought with Intellivision Lives! at all. 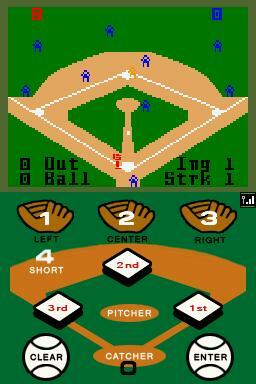 The game uses the bottom screen of the Nintendo DS for overlays to better compare to the Intellivision system. One thing I loved about these overlays is that every game has it’s own personalized version so each game is set up to control in the title’s own specific fashion. 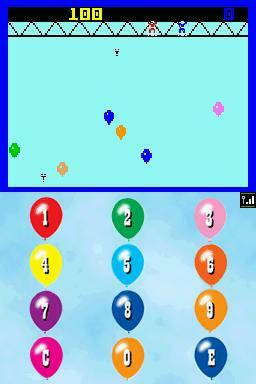 The game also mixes in the D-Pad and standard buttons for certain titles which some games can have the option of being exclusive to those alone. If you have ever held an Intellivision controller in your hand, the feel of it was like nothing else. The overlays for the touchscreen are without a doubt the closest thing to that as the layout and numbers all are responsive and easy to use every time as well as being set up nearly identical. While some games, such as Snafu and Thin Ice rely mainly on the D-Pad, others like Minotaur will have you using the touchscreen for nearly every option. This mix-up is great and adds a lot of balance to the games included. I listed the games earlier, but I didn’t speak much about how these truly vary from each other. If your an Intellivision guru and reading this, I really don’t have to go into detail about the 60 or so games included but one thing I really want to press upon if your new to these titles is how easy they are to access and easily pick up on. I will admit, I hadn’t played some of these games before and I was a bit lost when first trying out Vectron and Buzz Bombers more specifically, but with practice, I grew to enjoy each one. Along with obvious casual choices like Las Vegas Poker & Blackjack, Space Spartans (which is a lot like space invaders), and the highly enjoyable and my long-time personal favorite, Thin Ice, there is such a variety in this compilation that it is very easy to get hooked instantly on just about any of the titles based on personal preference. My only real gripe with Intellivision Lives! was that most of the multi-player games are exclusive to multi-player. It is extremely easy to connect to a friend though and it is great to see a single-card multi-player with such a huge selection so that was a plus to that small complaint, but if you are craving to try out some of those unreleased titles such as Blow-Out or any of the titles I listed above, you might be a bit disappointed unless you find a friend. Graphic-Wise, not a thing has really changed about any of the titles in-game, but that is what you should expect of course in a retro compilation such as this. Each pixel looks bright and vibrant though-out each game though and gets the job done without problem, so there should be no visual difference graphic wise from the older games to most. There is also box-arts for each game that can be seen as you scroll through categories, but all together the menus are pretty simple and straight forward. As for the music, everything is about like the graphics and has remained true to each original release. Some of the games also include voice commands which are very clear and had the same quality as the original releases which helped bring out the classic feel even more. Music is also done well for each title and these 8-bit tunes will have fans humming along with them rather quickly as they are all clear and have never sounded better. Intellivision Lives! does what a lot of compilations could only dream of doing. 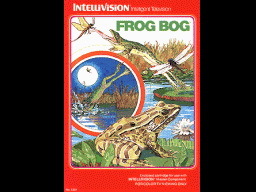 With the touch-screen, the Intellivision experience has never felt closer to the console version of each title and the music and audio all made the transfer perfectly. Now who exactly do I recommend this title to? If you are an Intellivision fan, there isn’t a game out there that is better than this collection and this is a system seller if you do not have a Nintendo DS without a doubt. It just stays so true to the original titles that even if you are just a classic 8-bit fan in general, you should walk away pleased. As for that group of gamers who have not quite tried any classics, I still have to recommend the title to you as every game included is easy to pick up and play and each can provide hours of fun depending on what type of games you enjoy more. With the variety included, it should be a no-brainer at such a low price to at least give this one a try.